- Contemporary mall building made from architectural bluprints. - Building has store & shop spaces, offices, administration facilities, parkings, supply area and whole infrastructure system. - Exactly the same materials prepared for all textured formats. - 3 Very big renders included in extreme high (up to 9600 x 5700) resolution. 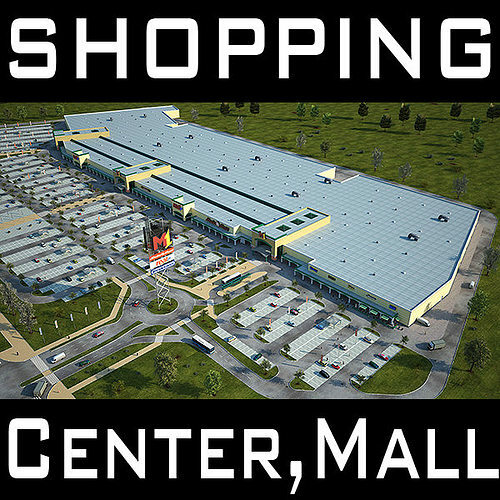 By using this model in your project you are sure to please your client with a modern project of a mall building. Also check out my other buildings models of that type, just click on my user name to see complete gallery. *cars & people models not included, becouse those are commercial products. Trees and shrubs included. The height of the floor? How many m2 of building area? What is the building's height and width?